The Catalan Way—Catalonia's 250 mile long joining of hands in support of Catalan independence from Spain—would not be the first movement to question Twitter's algorithms for choosing trending topics. But I'm sure it's the first one to respond with #croquetes! Yesterday, Twitter buzzed with reports, videos, and photos from the #CatalanWay, which in Catalan is called the "Via Catalana". Today, it is newspapers all over the world, from the New York Times, Washington Post, Wall Street Journal, Los Angeles Times in the US, to the Guardian, Telegraph, Independent in the UK to Der Spiegel, Die Welt, Berliner Zeitung in Germany, and so on and so on. VilaWeb has a good list. But Twitter stubbornly refused to register #ViaCatalana, the hashtag marking most of the posts, as trending. During a radio show on RAC1, Jordi Basté explained that Twitter had told them that 1000 people had to be talking about a particular topic in order for it to 'trend', but that it was important that that topic not have trended the previous day. 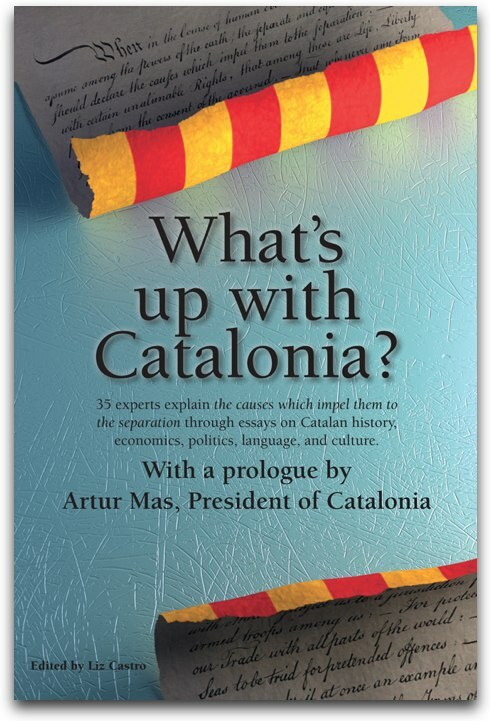 Half in gest, he said, why don't we test that theory with "#croquetes" [a very typical and common kind of special leftovers in Catalonia, generally meat mixed with bechamel sauce and fried, quite delicious]. 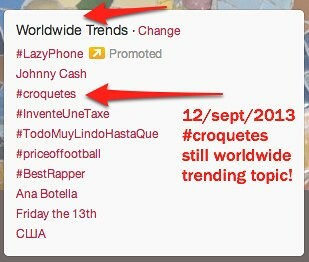 Within minutes, everyone was tweeting #croquetes, and sure enough Twitter quickly listed it as a trending topic. In fact, it's still trending this morning. While some talked of conspiracy and showed that #viacatalana was being heavily used across social networks, others explained Twitter's system for designating trending topics. My opinion is that whatever Twitter's system is, it does not work. There is absolutely no reason that such an event, closely followed by the world media, front page on Wikipedia, and tweeted by hundreds of thousands of people would fail to 'trend'. Twitter needs to revise its trending topic algorithm, so that we don't have to resort to silly tricks like tweeting about yummy food. And it's true that, totally coincidentally, I had #croquetes for dinner last night!